Artful Affirmations: Celebrating Creative Workshops New Digs Blog Hop!!!! Celebrating Creative Workshops New Digs Blog Hop!!!! So I am joining in the celebration with giveaways! I am giving away one of each class! And my classes are on sale! and two class kits to win as well!!! like really, maybe even years! So no pressures to get to it in time. You can watch the videos as many times as you like. All video content is available the very first day class opens. and I got to see what it was like to purchase. I had access to this class in less than 5 mintues!!! ...And I am giving away this cup's twin sister! she is a sweet new rosey cup! you do not have a blog or have Google plus. 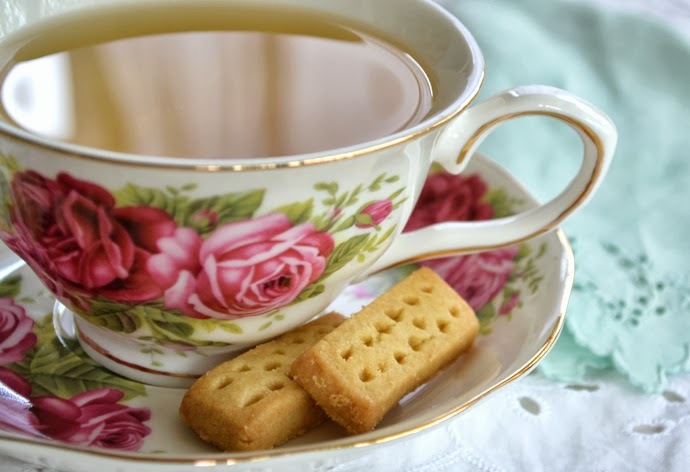 Tea Cup Tuesday is up next! wow! first time i've run across you....your art is amazing! would love to take one of your classes. if i don't win, it's going on my christmas list! 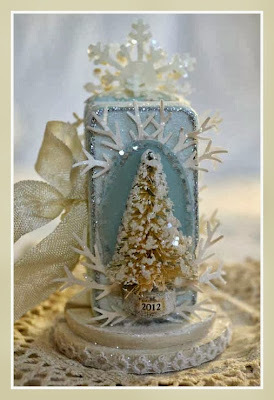 Dear Terri, what a beautiful post, showing all your amazing creations, and the workshops to learn creating them !! I would love to winn one of them, they are surely lots of fun all!! Thank you dear for your sweet words. Terri, your art is so beautiful! Thank you for the chance to try one of your classes. Hi, Terri! 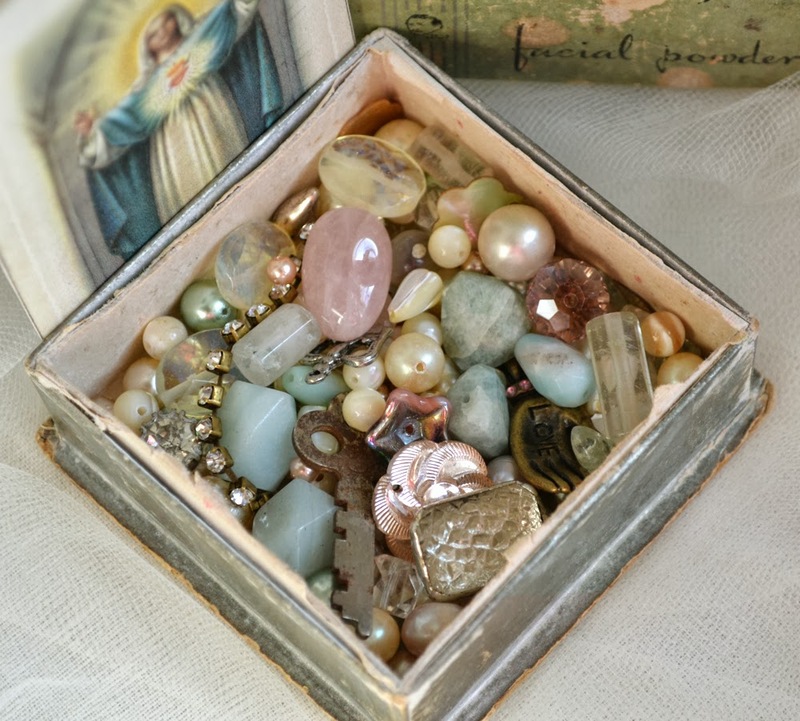 It would be fabulous to win your Soulful Adornments Class. The teacup is a beauty, too!! Thank you for the opportunity to perhaps win. Yay Congrats Terri on all you are creating and sharing...shine on! I love all of your art and creations..every piece is beautiful, elegant and very special..I would love anything from you ! You are a wonderful spirit and it shines through all of your creations! I always look forward to your posts. Would love to win the teacup. Oh I love your stuff! Good luck with the new site! Looking forward to digging around over there! Would love a chance to win one of your classes! Thanks for the chance. Thank you for a chance to win ! 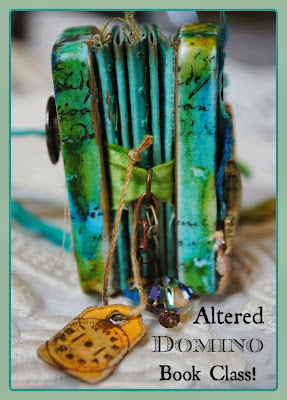 I would love to win the altered Domino book class and/or kit! Thanks for the chance! How exciting! What a great giveaway! Thanks for offering one of your classes (and kits), Terri! Oh my, what a great chance to win one of your workshops. Difficult to chose a favourite, but perhaps the Soulful Adornments one just pips the altered domino one to the post. I'd love to win that one. Thank you so much for your generous giveaway. Terri- I would love to win your Soulful Adornments Class- that would be a good whoop! Have not seen your art before. Loving the opportunity to learn new stuff! I would love to win one of your classes. 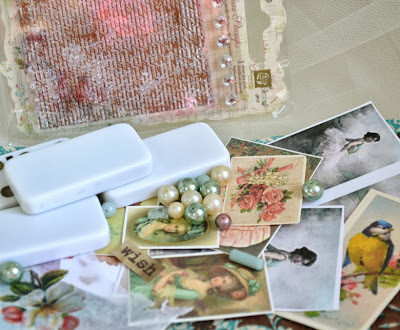 Gail's blog hop is so much fun. I haven't tried out the new classrooms yet. Thanks for the chance to win! I'd be over the moon with anything. But I would love the chance at one of your classes. Thanks for the chance. terri i love all the creations you have made.. and would love a chance to win one of them.. the soulful adornments class looks so beautiful..
thank you so much for being so generous..
OMG! You are THE most generous instructors I have ever met! Thank you for the opportunity to win a class of yours! I have always wanted to learn the Altered Domino Book, so that would be MY choice! Thanks again! Awwsome! I would love to win a spot in your domino class or a class kit ! I would love to win one of your classes. The soulful adornments class looks great. This is the first time I've ever seen your blog, but I have seen you work on Pinterest. You are very creative and inspirational and I'm glad I've come across your blog. I'd love to win the altered domino class kit and I love the tea cup! Thank you! Winning one of your classes would be fun for sure! I must say that my dream would be the altered domino class. I'm a Creative Workshops member too and have done a few classes there. 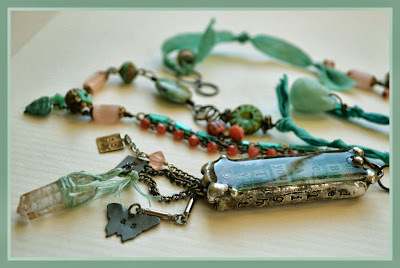 I would love to win your "Soulful Adornments" class - I've not ventured into jewellery before so that would be exciting! *sigh* everything is just sooooooo beautiful!!!!! YEAYEEEEEE!! I get to win a class from you!! It will be wonderful to learn something new! Thank you!! PS I adore your cups!! I miss mine that were left behind when I moved overseas! This is such an awesome opportunity, I would really love, love to take one of your classes. Thank you for the chance! Thank you Terri for the amazing opportunity to win one of your classes! I've been a fan of your fantastic blog for some time now and have enjoyed watching so many of lovely free tutorials already, I really enjoyed making your 'Elegant Shoe' tutorial. What a fantastic 'Giveaway',thank you for offering a chance to win one of your classes. The 'altered domino book' looks magical, so that would be my choice jif I am lucky enough to win. Terri .. I would love to win your altered domino class. I have already taken your soulful adornments class and it was wonderful! Thanks for the opportunity! What a beautiful giveaway! Thanks for being so generous, Terri. The classes look fabulous! Thank you for the chance to win a spot in one of your classes. Your creations are always stunning!!! 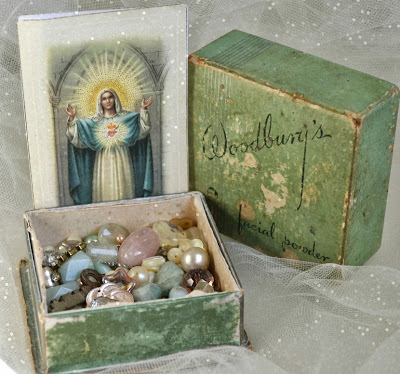 And that box of beads is swoon-worthy. Welcome back! I missed you weekly posts. I already signed up for your Domino class and I LOVE it so I would be lucky to win the Souful Adornments class. I love your style and your clear instructions. Great work and Happy Fall! Good morning Terri! What a delight my Tuesday mornings are with of your lovely posts. We too. are having a wonderful cool morning outside with tea and watching our trees turn color. I already have the domino class and highly recommend it to all. You have a great eye for embellishment. 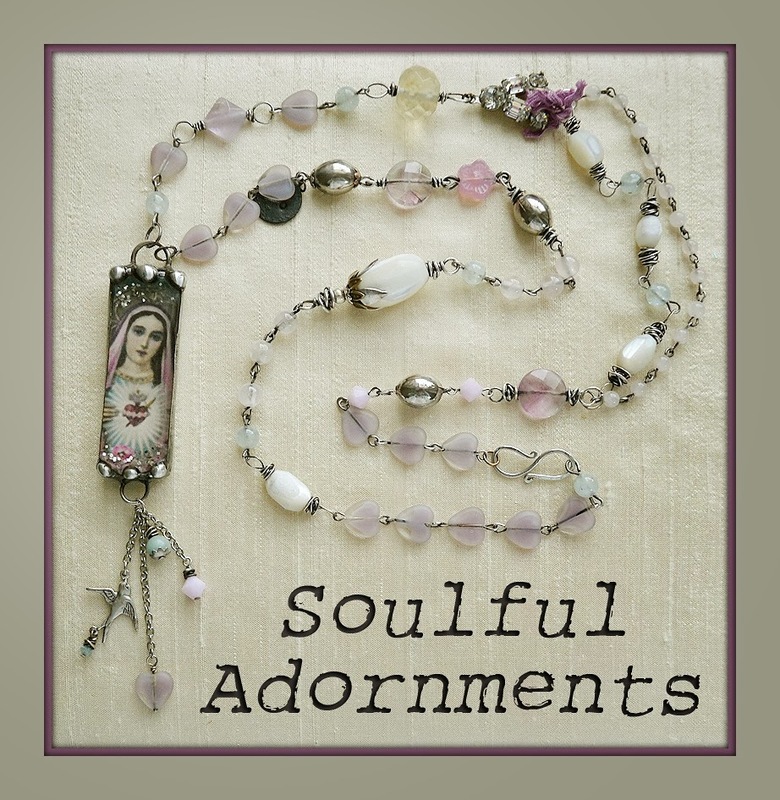 It would be a joy to win the Soulful Adornments class. Thanks for the opportunity! 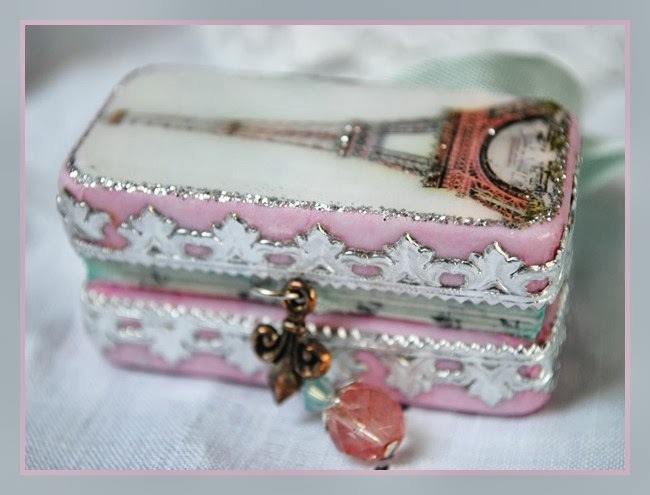 I love adornments and embellishments, but having seen domino books online I am crazy wanting to try making them. I have wonderful ideas in my head and would love a little instruction (and a push) to try making it come to life. Thank you so much Terri for the opportunity to win one of your workshops! I'm in love with that box of beads! lol I do hope I win one. So happy to find your blog. 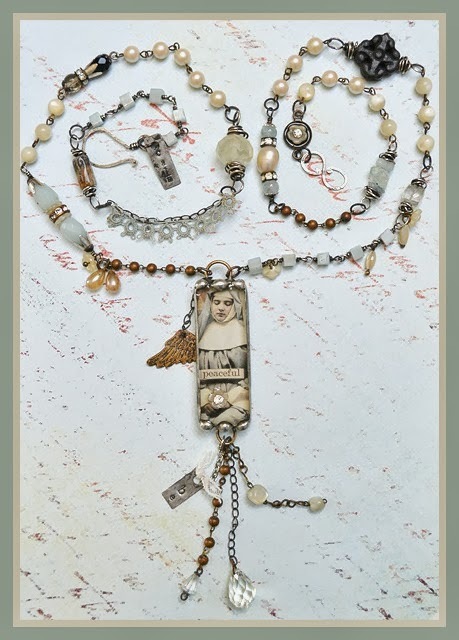 Your soulful adornments and altered domino books are gorgeous! Your blog is so beautiful. I too love a good cup of tea and have a very special teapot from my aunt and the pot is now 46 years old and still working. Thank you for a chance to win one of your classes. I love the Creative Workshops and the new site. Very nicely done. Terri - I have always been fascinated by the domino books - so tiny tiny and what glorious vintage images!! I would love to win that class - and of course . . . add another rosy teacup to my collection?? Mayhap?? 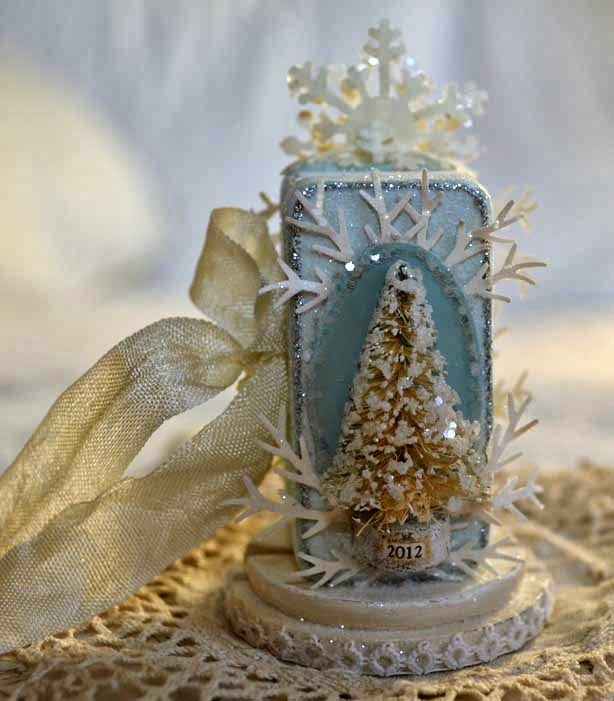 Joy to you and many thanks for your constant source of inspiration in my own creations! Would love to win, please oh please, fingers crossed!! Hello Terri! I would love a chance to win one of your domino book kits. Gosh, can't believe I didn't comment Terri; I was so sure I did...lol. Jet-lag! Wow...love both your classes...the Soulful adornment one really looks wonderful!! Thank you for the chance to win a spot in a class!!! I love teacups and your altered domino book class looks awesome. I would love to win either class but I think the Soulful Adornments would be my preference by a smidge! Thanks so much! Oh, count me in for the teacup! I love the roses! I also love that rosary. Just beautiful! Thank you for hosting! Of course I would adore winning anything from you especially one of your classes and that beautiful kit! What a fun contest. I will check out the other blogs too. Many thanks to you and to Creative Workshops for this fabulous opportunity to take a class! Tea is great, too! Love your blog. Just discovered it recently. A happy discovery too, I may add. Would love to win a class. Your teacups are lovely. I admire the domino works but just can't imagine how challenging that is to work on them. Something akin to n scale trains I guess? Itty-bitty stuff. And some pretty dominoes and jewelry too. And, there's that beautiful teacup ... with biscuits. Nice that you're giving away so much. Hm. That might be kind of neat to learn how to work those dominoes. Thank you for the opportunities to think outside the box and maybe win something at the same time. Oh my! 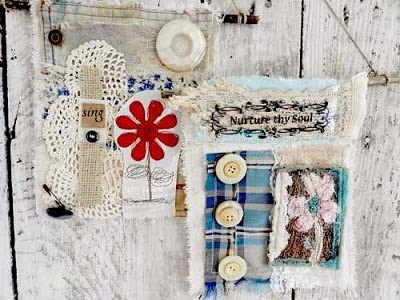 Soulful adornments looks lovely and the altered domino book sounds so fun! It would be hard to choose! Either please! Hi Terri! I would love to win the sweet teacup! Thanks for a wonderful opportunity! I would love to win the domino book class/kit .. thank you so very much for the opportunity! I want to win a class, I need take domino class!!! Your blog is so lovely, I would love to win anything from you!! I LOVE the domino book, just amazing! I would love to win your soulful adornments class~thanks for the chance! Hi Terri! I'd love to be entered in the domino book class and the beads giveaways. I always love seeing what you've created! How did I not spot this before! Can't resist trying my luck for my of those delights! Oh, I really, really want to win! Thank you so much for the opportunity! I've admired your altered domino books for some time. They are beautiful works of art. I would love to try this myself. 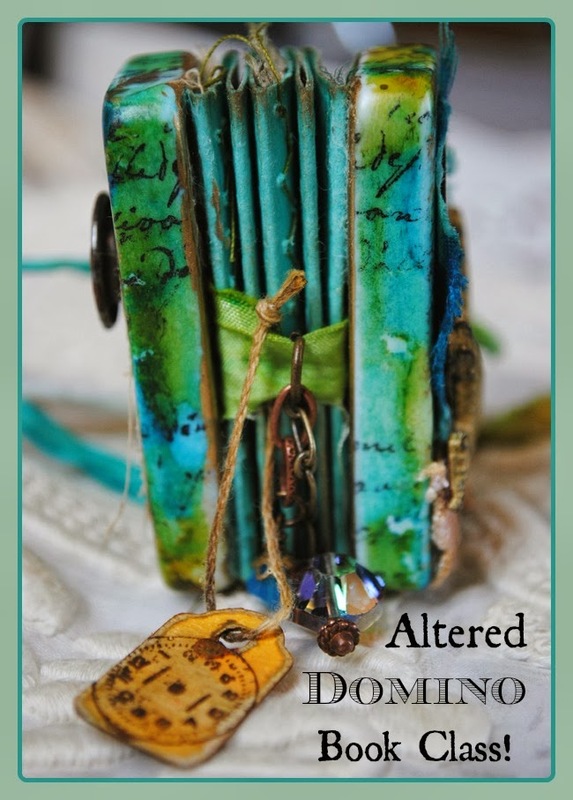 The altered domino books class is my choice for a creative time relaxing, playing and learning. Thanks for the chance to join in the fun. I would love either class, the dominos are just adorable. Thanks. Way too difficult to chose. I'm torn between the Altered Domino's & Soulful Adornments Class. I actually walked away from the computer to think it over. 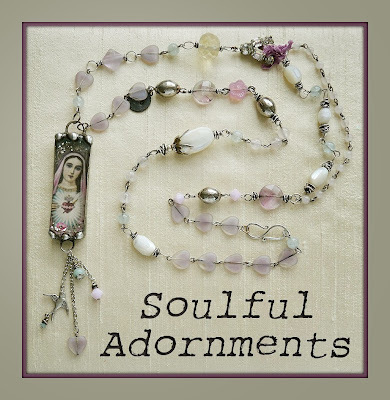 Soulful Adornments is my choice and just put the Altered Domino's on my present list and sent it to my daughter. Hoping she gets the hint. Thanks for the opportunity to win and I drool every time I visit your blog. Hi Terri! I would love to win the domino book kit! Beautiful! Beautiful giveaways. Either class would be so wonderful. Love your art. Been following you on Pinterest. Bonjour, Your artwork is filled with beautiful, vintage detail. Your soldering techniques are amazing and inspiring! thank you for the chance to win! Terri, I just love your blog and your artwork, and would LOVE to win one of your giveaways. 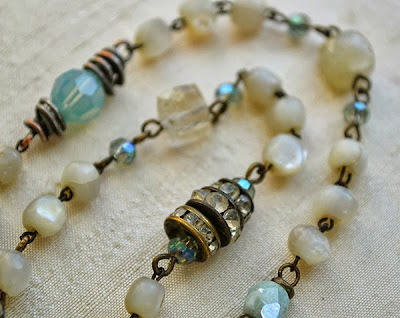 I think your Soulful Adornments necklaces are so very gorgeous and inspiring. Winning that class or the class kit would be beyond wonderful!! Thanks for the opportunity...what a generous giveaway! Would absolutely love to win the teacup. Hugs from Karen in Alaska. I would love win any other giveaways. I'd love to win either class or kit. So inspiring! hello, I'm the one from Portugal who made the school fairy house,I would love to win your altered domino class, if possible or thesoulful adornments class. I would love to take a workshop with you. Thank you for the generous offer. Thanks for the chance to win a spot in your fabulous class! Thanks for the inspiration on your blog, too. You have spoiled me enough with your generosity. Oh pick me, pick me. My dad and I used to play dominos all the time before he passed away and I have all these dominos and don't know what to do with them now!